The Great Indian Desert or the Thar Desert is spread over the vicinity of Jaisalmer, Barmer, Jodhpur and Bikaner. The powdery sands of that are a spot for several mind-boggling activities such as camping, camel safari, folk dance, etc. A desert is usually associated with a barren stretch of land but to your surprise, these barren lands have so much to offer. 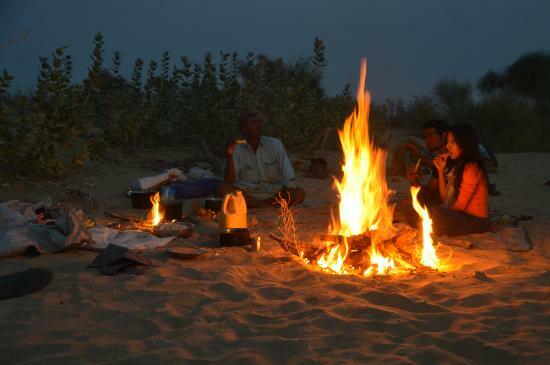 A night under the sky full of stars and a morning filled with traditional rituals of Rajasthan; yes that's what you call an amazing desert life. Believe it or not, Thar, a desert which is lifeless makes you feel the most lively when you are here. So, next time you take a Rajasthan tour package make sure your agent has at least 2 days dedicated wholly to the Thar. Till then enjoy reading what all can be done in the tones and tones of sand. Are you an adventure lover? Is natural rollercoaster your thing? If yes, then this sport is for you. 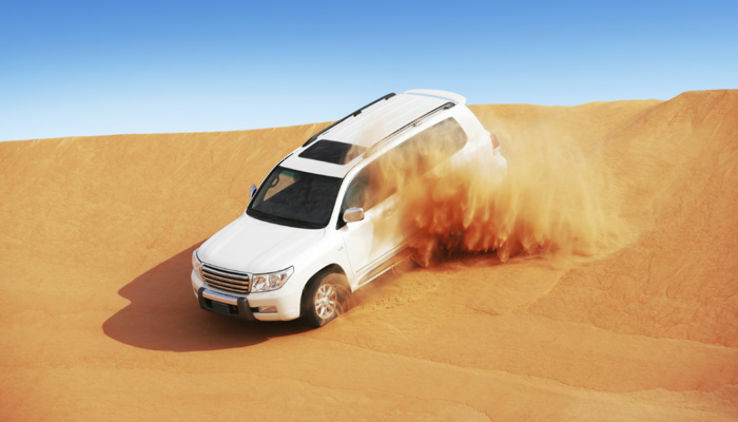 Hire and jeep or an SUV and go bash the dunes as you drive freely on the sandy surfaces. 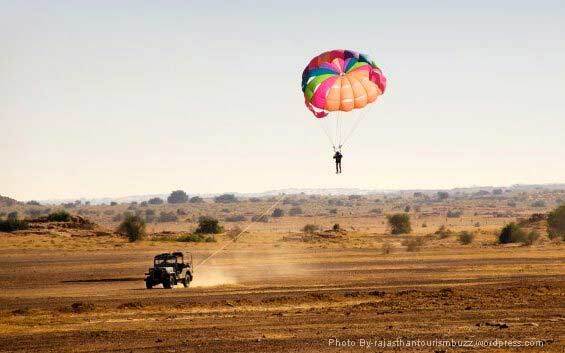 The desert area of Jodhpur and Jaisalmer is considered more appropriate for this activity. Imagine the sun peeping out from behind the dunes, how beautiful would it seem. You too can have this experience of amazeballs where you catch the very first ray that comes and waves off. With no interruptions from humongous mountains, you have a clear area hence making the sun look more alluring to the eyes. Catch the colour change, from red to orange to yellow and vice versa. Moreover, if you are a photographer you can't thank enough for being able to capture such scenes. 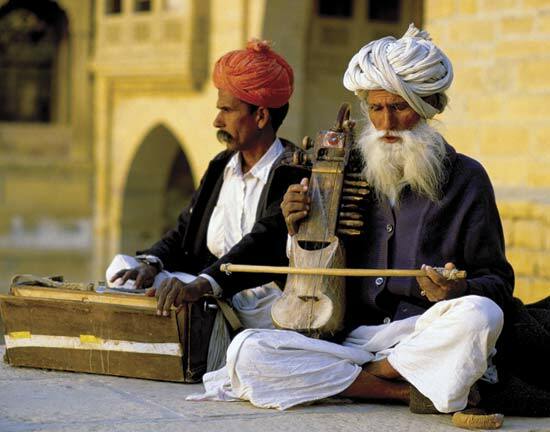 Age old yet vibrant, the Rajasthani culture will never disappoint you with its vivacious vibes. From the energetic folk dances to the melodies weaved via local musicians, your night seems sorted if you are an audience to Rajasthani cultural program which needs to be included in your Rajasthan tour package. These performers travel from far distances hence must be given some time of appreciation. One must experience living in the Middle of nowhere at least once in a lifetime. Away from the luxuries of life, staying in a minimal setting with basic amenities has to be on your to-do list. You won't regret this shift instead would cherish these moments forever. Nothing can be as peaceful as setting your eyes on the magical night sky. A night spent under the stars is life-changing for many. It evokes emotions that have been submerged for so long. At times overwhelming, this experience is unforgettable. Imagine holding hands with your loved one standing beneath the skies full of stars won’t it be the most beautiful thing to do? The flowing golden sands with camels walking overlooks nothing short of blissful. Also, do you know that you can ride one too? Yes! 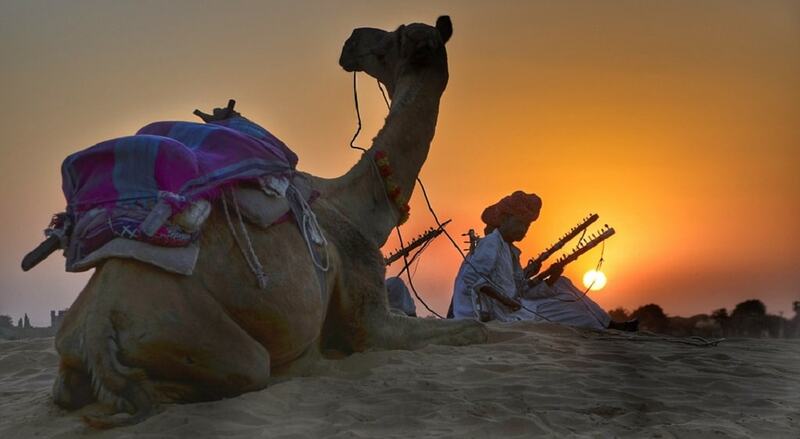 Camel Safaris can be arranged in the Rajasthan tour package you choose for yourself or you can book it with the organizers in Jaisalmer, Bikaner and Jodhpur. This safari takes you on a journey of splendid views. Thar is full of adventures! Post Dune Bashing, you can fly over the sand ruins with clear skies in the backdrop. If you are an adventure lover this activity is for you! Be a free bird as you are in the skies. This experience becomes more beautiful if you are able to catch glimpses of the setting sun. You indeed are going to cherish kicking off the horizons. This desert is home to several uninhibited villages, historical palaces and forts. Once a base for settlements, Thar later was abandoned due to severe climatic changes that lead to water scarcity. The remains, speaking of ancient architecture still exist in the vicinity of the desert. These ruins form great spots for photography. Leisurely strolls through them can turn into some interesting ones. You might want to know the story behind every wall that stands even today. Thar desert can be quite captivating. A few days here and you are all set to have a book of memories! These are the lands that lead nowhere but your heart. Visiting Rajasthan especially the cities of Jaisalmer, Barmer, Jodhpur or Bikaner, and not spending your time in Thar is just like going to a beach but not entering the waters. Therefore, a visit to Thar once in your life is a must.